At first glance, Governor Larry Hogan came off as a winner when he lost Baltimore City to Democrat Ben Jealous on Tuesday. The Republican incumbent got nearly 50% more votes in 2018 than he did in his first bid for governor in 2014. He picked up 1-in-3 votes in a city where registered Democrats outnumber Republicans 10-to-1. After taking into consideration that less than half of the registered voters in Baltimore actually vote, about 38,000 Democrats appear to have crossed party lines to vote for Hogan this year, making him the most popular Republican candidate in decades. Has this avowed centrist, who has carefully distanced himself from red-meat “Trumpism,” discovered a potentially winning formula for Republicans to compete in a “blue” urban center? And, tactically, did his seven-figure ad campaign, which saturated local airwaves with praise for “a white Republican governor” by West Baltimore activists Arthur Kirk and Doni Glover, change the hearts and minds of a black electorate? 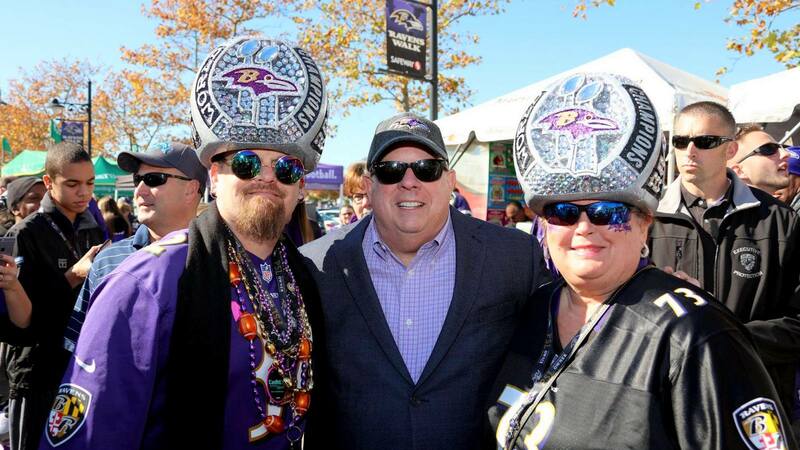 More black Baltimoreans voted for Hogan in this election cycle than in 2014 when he faced Lt. Gov. Anthony G. Brown. But in the absence of a viable campaign infrastructure, the Republican Party continues to be a non-factor in local politics. Consider precinct 15:018 in the heart of Penn North. In 2014, Brown, an African-American politician from Prince George’s County, got 95% of the vote, while Hogan languished at 2% (not a typo). This year, following the Freddie Gray disturbances that earned Hogan praise in many quarters as a decisive leader, he garnered 22% of the vote. 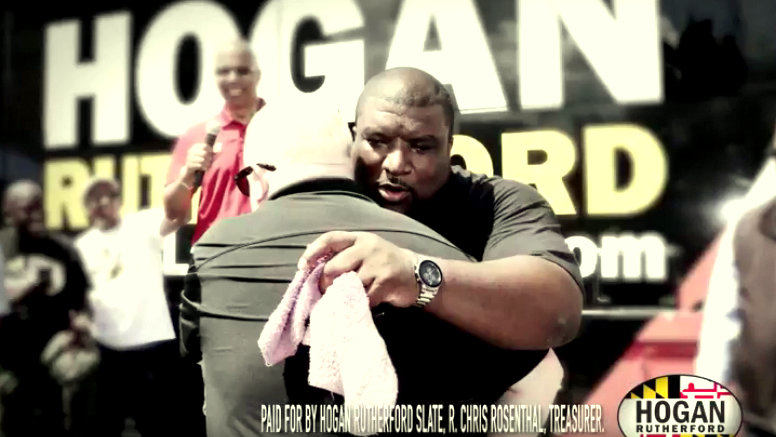 In the absence of a viable campaign infrastructure, Hogan’s Republican Party continues to be a non-factor in Baltimore politics. In nearby Harlem Park, it was the same story – Hogan got 21% of the vote in precinct 16:003 this year. That’s a big jump from his 4% pickup in 2014, but nowhere near to Jealous, a venture capitalist and former NAACP president, who collected 76% of the vote. Hogan showed gains in other black communities in East and West Baltimore, collectively known as the “black butterfly” by some researchers. He went from 9% of the vote in 2014 to 20% of the vote in 2018 in Forest Park, and from 3% to 19% in Oliver. In middle-income Ashburton, he went from 4% to 21%. In generally affluent Ten Hills, his vote tally rose from 28% to 33%. Such numbers underscore the broader partisan divide in Maryland, where rural parts of the Eastern Shore and far-west Garrett County voted 9-to-1 for Hogan this year. Hogan was significantly more successful in non-majority-black neighborhoods. But his votes did not necessarily reflect the shape of the “white L” through Baltimore’s midriff that separates the “black butterfly” before turning east along the harbor. Hogan collected up to 63% of the vote in the lower “L” – in places like Locust Point, Riverside, Harbor East, Canton and Greektown. But he faltered in the upper “L” – in neighborhoods like Bolton Hill, Charles Village, Hampden, Woodberry and Mount Washington. For example, in precinct 11:003 in the heart of Bolton Hill, 21% of the vote went to Hogan in 2014. Last Tuesday, it was little changed at 22%. The governor actually lost ground Charles Village, home to many professionals and college students. In precinct 12:006, Brown got 77% of the vote in 2014 compared to Hogan’s 16%. This year, Jealous got 82% of the vote, a likely reflection of liberal disdain for Donald Trump and the national Republican Party. A similar trend could be found in hipster Hampden. Back in 2014, 41% of the residents living on or near “The Avenue” voted for Hogan. On Tuesday, that number shriveled to 31%. In 2014, Hogan picked up 34% of the vote at Remington’s precinct 13-011, Last Tuesday, only 28% of the votes were penciled his way. Elsewhere in North Baltimore, it was a mixed bag for the governor. Hogan edged out Jealous in Guilford, Homeland and Poplar Hill, but fell behind his challenger in Roland Park, Cross Keys and Mount Washington. Which brings us geographically to the greatest bastion of Hogan strength – a triangle of communities off of the fabled “L” grid. In the northwest neighborhoods of Fallstaff, Cross Country and Cheswolde, Hogan got a whopping 70% of the vote on Tuesday. What makes these votes unique is that they came mostly from registered Democrats. In the last City Council race, Isaac “Yitzy” Schleifer proved the potency of an Orthodox Jewish bloc registering as Democrats and voting in the primary election for their candidate. Ticket-splitting has become the new-normal in Baltimore’s Orthodox communities. This year that candidate was Dalya Attar, who dominated the Democratic primary in the 41st Legislative District as the first Orthodox woman destined for the Maryland legislature from Baltimore. On Tuesday, she was one of four 41st District Democrats headed to Annapolis who faced no Republican challengers. The same phenomenon occurred in the 46th District. Given its predilection for Hogan, this south and southeast harborfront district should be ripe for Republican pick-ups in the General Assembly. Instead, registered Democrats who voted in mass for Hogan in parts of Canton and Locust Point strayed little from the down-ballot ticket of Democratic officeholders. As a result, incumbents Bill Ferguson, Luke Clippinger, Robbyn Lewis and Brooke Lierman waltzed back into office – and the Republican Party faces another four years of zero political influence in Maryland’s largest city.